Saint Laurent is a semiprecious black copper marble. It has a nice crystal background in cocoa tones and fine white veins touched by occasional notes of coral color. This natural stone with a French name is as sweet to the eye as an appetizing chocolate and orange mousse is to the palate. Able to evoke the Belle Époque, it recalls the taste for cooking, coffee, social gatherings and art galleries. Its aesthetics and color tone make this stone an ideal product for interior design and its use in bathrooms, kitchens, countertops, showers, etc. Saint Laurent has been the product chosen by the most distinguished architects and interior designers in the field of natural stone floors and luxury hotels. TINO Collection standard surface finishes are: Polished, Honed, Domus and Sandblasted. 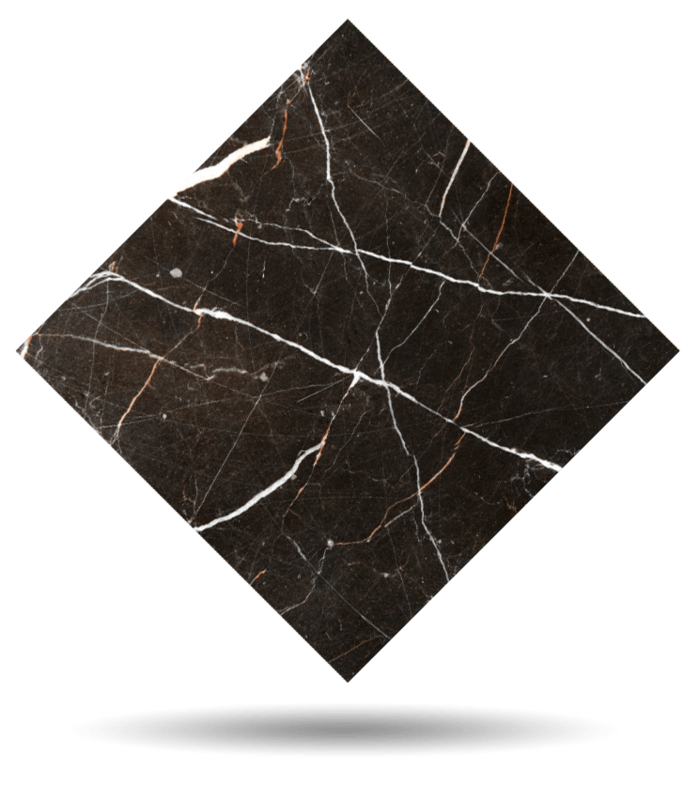 TINO offers Saint Laurent black copper marble in any formats and finishes desired by the customer. Check maximum size per finish. For other finishes, please check availability and sizes.